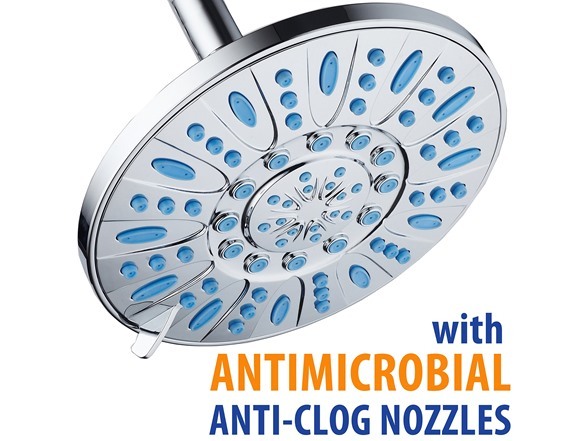 Made with Antimicrobial Microban Technology that inhibits the growth of Mold, Mildew and Bacteria inside and around shower nozzles. Flexible rubber material provides easy rub-clean removal of calcium and mineral deposits. 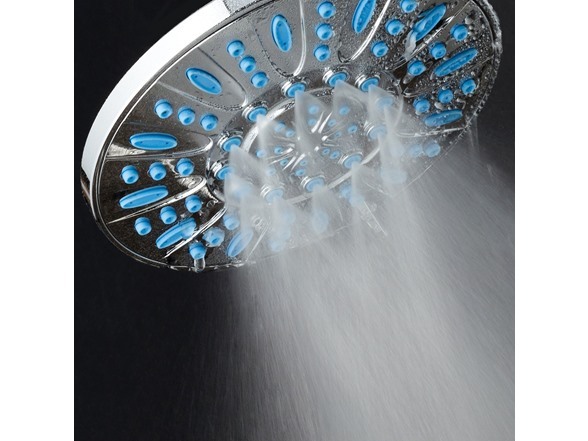 Antibacterial / Rub-clean design helps keep nozzles clean and clog-free for stronger water pressure and better flow performance. You will love SIX FULL WATER SPRAY SETTINGS that are truly different! 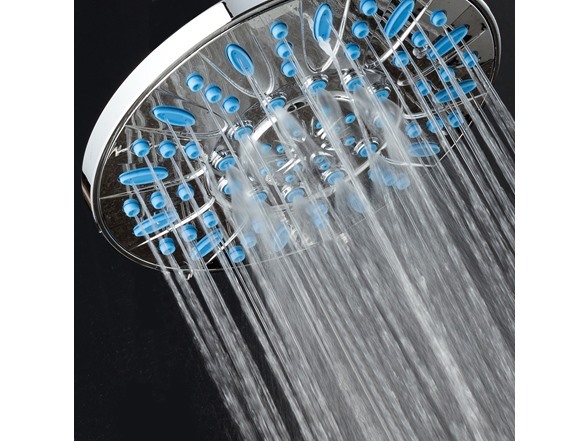 Showerhead features Six Water Spray Settings. Click-Lever Dial makes it easy to change the settings. Water Saving Pause Mode is great for saving water in RVs and boats. 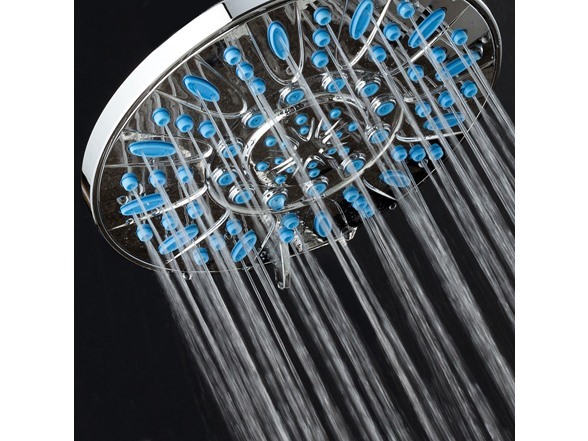 Get AquaDance Shower head for every room in your house or give one as Housewarming Gift! 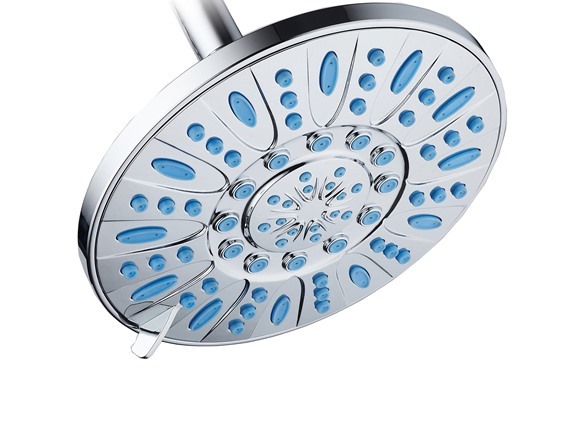 Whether you are looking for a shower head, handheld shower or 3-Way Shower combo - we offer you only the best! 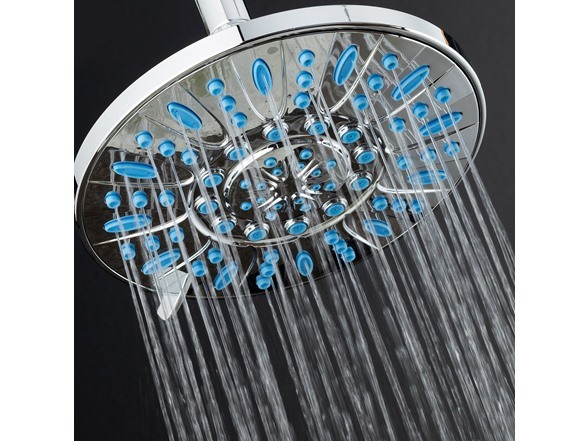 To install simply remove old shower head by turning it counter-clockwise. 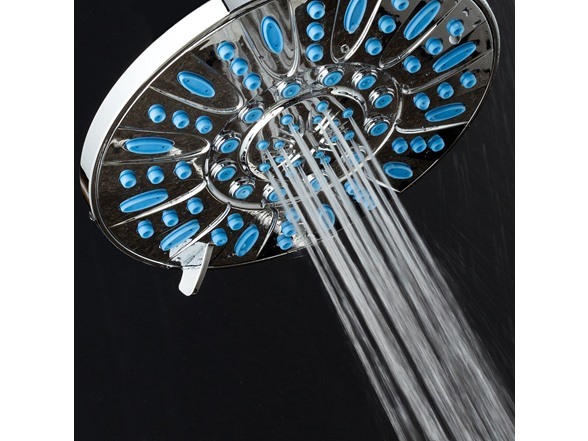 Remove any excess material left on Shower Arm threads. Use steel wool if necessary. Make sure Thick Washer is positioned FLAT and STRAIGHT inside Connection. 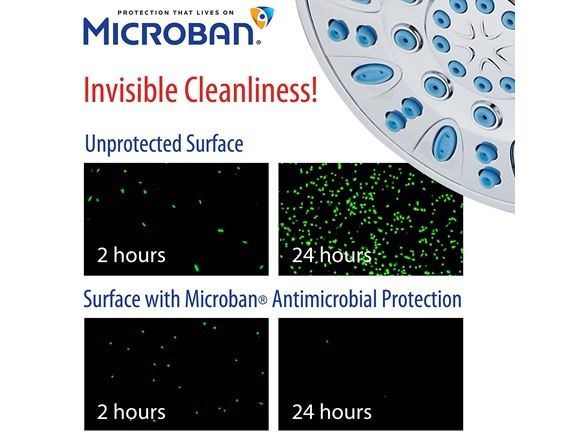 Protection from Mold, Mildew and Bacteria buildup. 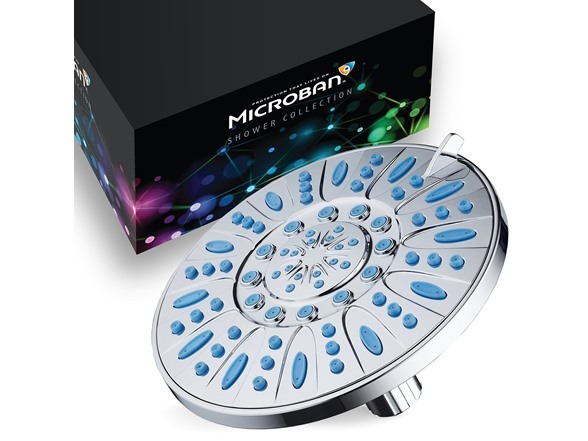 The Invisible Microban Protection helps prevent degradation of shower nozzles over time, extending the life of your shower head.